Vincent Van Gogh has had the most films made about him followed by Rembrandt van Rijin and Pablo Picasso. The other painters come from Ireland, Argentina, Hungary, Estonia and Russia among many other countries. 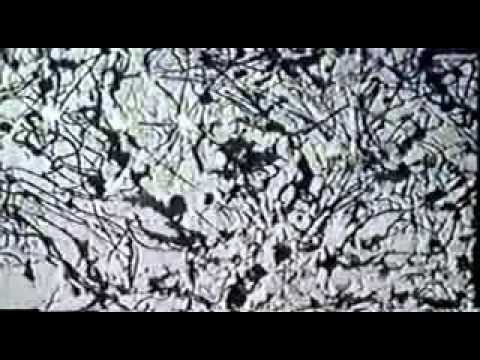 The order of the list down to Jackson Pollock has been determined by the number of films made about the painter. A 35mm blown up remake of the 16mm version made the previous year, this was both the first of ten 16mm films on contemporary artists such as Henri Goetz, Hans Hartung and Christine Boomeester and the first of a short film trilogy completed by Gauguin and Guernica (both 1950; all films are black and white). 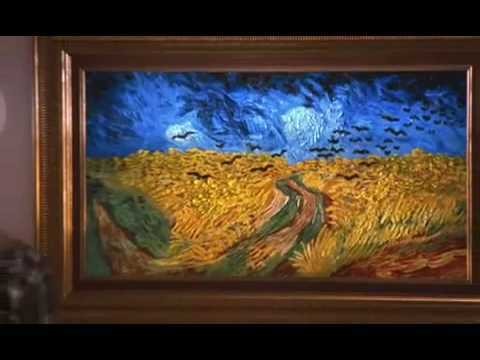 Using a kind of cut ‘n paste technique with musically accompanied images of the paintings along with “the use of tracking shots where the camera moves around…towards…and away” from the paintings, thereby producing “an exhilarating mobility,” makes Van Gogh more like “an animated film” (Wilson17—18). Budding 13-year-old draughtswoman Jo travels back in time to meet (meets the ghost of?) Van Gogh. 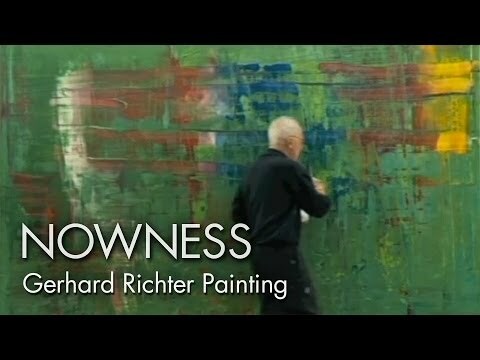 In this sequence the painter is astonished to learn how many millions of Dollars his paintings go for in 1990! 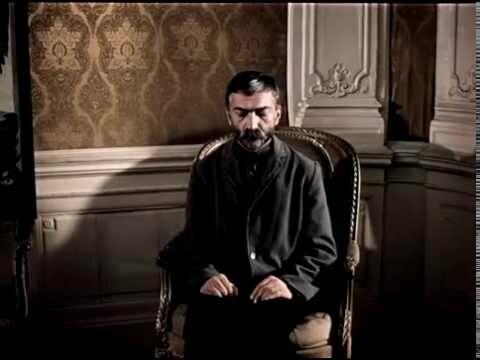 The film is about the 12 months the painter voluntarily spent in the insane asylum at St Remy, his brother Theo, and his relationship to Paul Gauguin, with whom he lived in the yellow house in Arles before entering the asylum. The website for the film provides exhaustive information on the cast and team along with director’s notes and an interview with him as well as extracts from Van Gogh’s letters and a trailer. I employ a subjective camera throughout the entire film. The idea is to get inside Vincent’s head. Everything seen and felt is from his point of view. In order to achieve this, the camera, rather than viewing the action, will always be within it. We strove to give objective expression to inner experience, i.e., to show what Vincent was thinking and feeling…The purpose is not for the audience merely to be a witness, but rather for them to live within the image and to participate psychologically in the action. Every word spoekn is sourced from the letters that Van Gogh sent to his younger brother Theo and those around him. A look at the time Van Gogh spent in Arles based on the painter’s letters and the director’s interpretation of his memories. Schnabel, who directed 1996’s Basquiat, is also a painter, for example his very large “plate paintings” on broken ceramic plates. 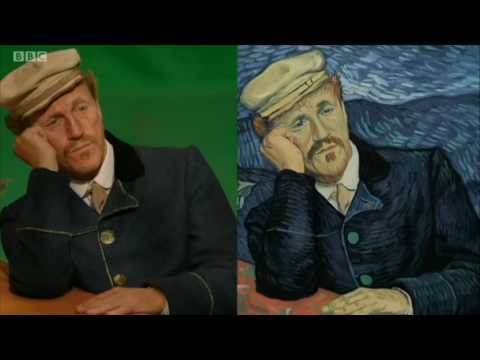 A lot of the film is shot in shaky hand-held first-person camera to align the spectator with what Van Gogh is thinking with a deliberately blurred screen to represent the onset of the artist’s madness. In one black and white sequence we see Van Gogh painting with the colours inverted to convey the depth of what he is painting. Three painters were ‘involved’ in this film: Van Gogh, the director, and the cinematographer Benoit Delhomme, who also shot Artemisia. “Vincent Van Gogh: A New Way of Seeing” from the Exhibition on Screen series with the by now familiar interviews (V. Willem van Gogh, great grandson of Theo van Gogh, and contemporary artist Lachlan Goudie), voiceover narration, and paintings and letters to family and friends animated by a rostrum camera. 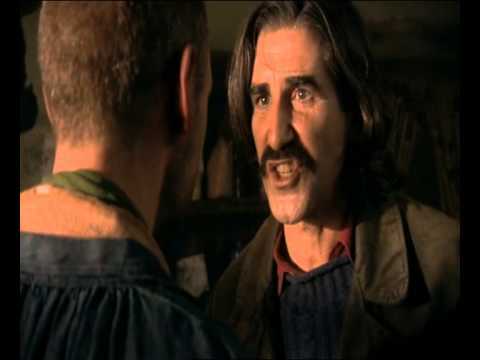 Directed by David Blickerstaff and Phil Grabsky with Jamie de Courcey as Van Gogh (2018). Finally, in “Vincent and the Doctor” Doctor Who s5 e10 (05.06.2010) the Doctor and his assistant Amy take the painter forward in time to a present-day exhibition of his own works at the Musée d’Orsay where the artist overhears the art curator Dr. Black describe him as “the greatest painter of them all… one of the greatest men who ever lived”, at which Van Gogh throws himself around his neck and weeps his heart out! Korda also produced the film from a screenplay by June Head and Lajos Biró based on a story by the German writer and dramatist Carl Zuckmayer. 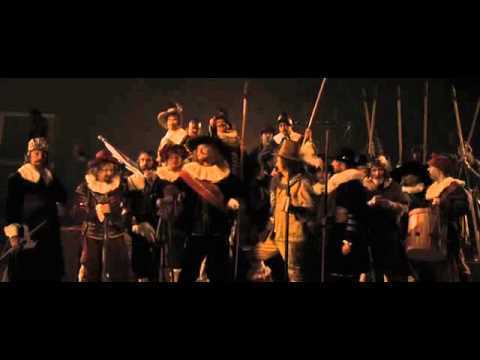 The film covers the period from 1642 when his wife Saskia dies at the height of Rembrandt’s fame until his death in 1669. Korda originally wanted to make further painter biopics but they never emerged. 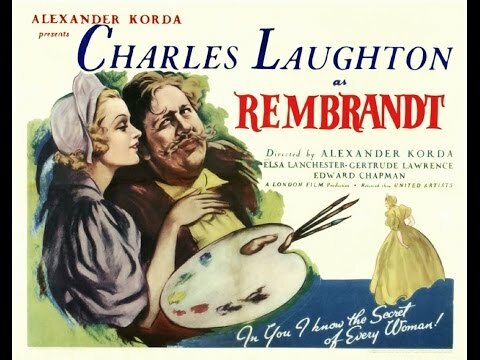 With its oblique references to the frustrated artistic ambitions of Adolf Hitler and despicable stereotyping of Jews, particularly disgraceful in view of Rembrandt’s friendships with Jewish people in Amsterdam, for example, the film was made purely for propaganda purposes. The painter is introduced as in Korda’s film at the height of his career receiving the Company of Captain Frans Banning Cocq and Lieutenant Willem van Ruytenburch group portrait commission (better known as the Night Watch). 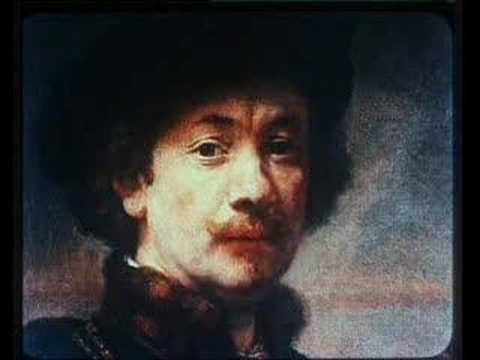 Partially shot in Amsterdam and The Hague, the leading art forger of the day was apparently released from prison to make copies of the Rembrandt paintings used in the film. This concentrates on the final few years of Rembrandt’s life and the self-portraits he painted then. Much like Korda’s film did, the artist is depicted as a social outsider but with more emphasis on self-contemplation and self-knowledge see the frequent use of the mirror as a symbolic motif. In addition, completed paintings are not represented but instead how they come into existence in the first place. Finally, the director makes ample use of long takes and intertwines facial expression, gesture, colour and light(ing). Brandauer plays the painter from the ages of 28-63. 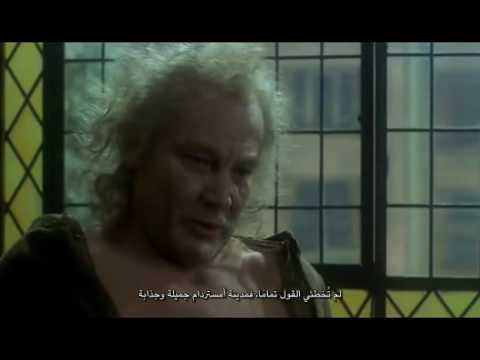 Told in flashbacks from the point-of-view of the aged artist, the film opens as the young Rembrandt arrives in Amsterdam. The director used to be a painter and creator of trompe l’oeil dioramas. 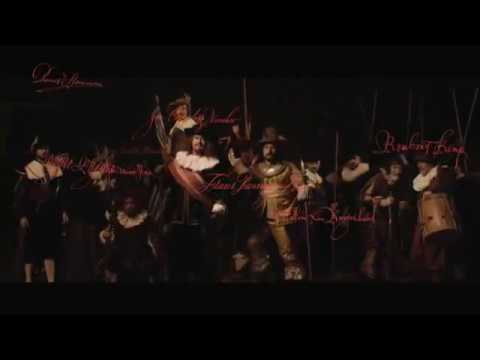 Greenaway’s film dramatizes the idea that the Company of Captain Frans Banning Cocq and Lieutenant Willem van Ruytenburch secretly accuses of murder the people who actually commissioned it. The film goes on to suggest that these irate patrons thereafter enacted a revenge on the artist that subsequently ruined him both socially and financially. A film essay companion piece to and released one year after Nightwatching in which the director explains the murder conspiracy dramatized there. The 34 ‘mysteries’ are all the 34 painted characters in the art work, and by examining these Greenaway also delves into life in seventeenth-century Amsterdam. A [fake?] 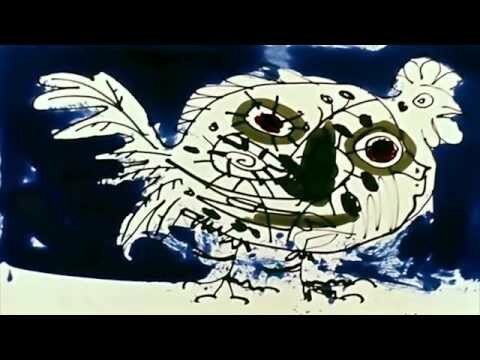 documentary about fraud and fakery with his then partner with Welles’ partner Oja Kodar sitting for a series of nudes for Picasso. The Moon and Sixpence (US 1942 Albert Lewin with George Sanders) The original novel of the same name by Somerset Maugham 1919 is loosely based on the figure of Gaugin and inspired by his life. A “companion piece” to his earlier Van Gogh, this “adopts the tranquility and composure of Gauguin’s images of Tahitian women” (Wilson18). In August 1893, Paul Gauguin arrived back in France from a long stay in Tahiti with 66 canvases but only four francs and mistakenly believed that an exhibition at the Durand-Ruell Gallery in Paris in November of the following year would mark a change in his fortunes. Although the film “does not present a feminist critique of Gauguin’s sexual behavior … at least the women in the film are not depicted as pathetic victims” (Walker 76). 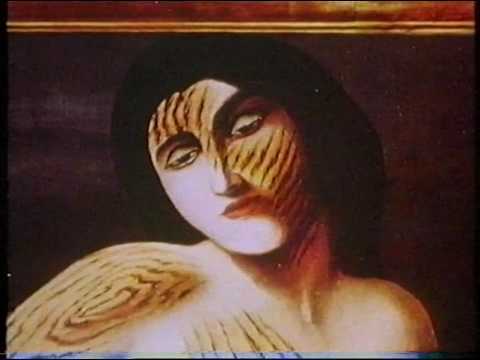 The film’s title “Oviril” is Tahitian for ‘savage’ or ‘wild’ and Gaugin also used the name for his 1894 partially glazed stoneware female figure, the goddess of mourning in Tahitian mythology. 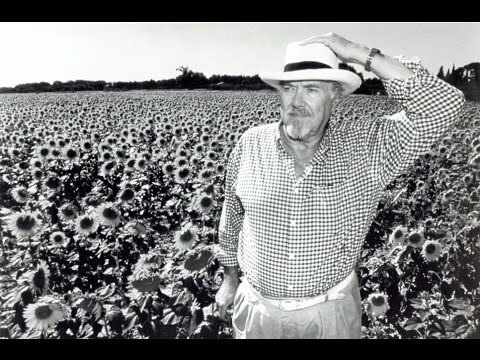 Donald Sutherland’s son Kevin was to play the painter 17 years later see next film description. Helen Mirren plays Maria Altmann in her search to reclaim Klimt’s portrait of her aunt, Portrait of Adele Bloch-Bauer I. The credits say the film was “inspired by the documentary Stealing Klimt”, UK 2007 60 minutes by Jane Chablani. Includes tableaux vivant reproductions of some of Vermeer’s work, in one case even combining Girl with a Red Hat and The Art of Painting. Based on the novel of the same name by Tracy Chevalier (1999) and concentrating on the story of Griet, the servant in the Vermeers’ household who (fictitiously) sat for the eponymous portrait. (Raymond Joseph) Teller’s film about inventor, computer graphics expert and engineer Tim Jenison, who obviously shares Jon Jost’s love of Vermeer though here almost to the point of obsession as he attempts to exactly replicate The Music Lesson (1662-65) with the help of a device he built himself in order to validate his theory that Vermeer painted with the help of a camera obscura, an idea also floated by professor of architecture Philip Steadman in Vermeer’s Camera: Uncovering the Truth Behind the Masterpieces (2002) and David Hockney in Secret Knowledge: Rediscovering the Techniques of the Old Masters (expanded edition 2006) both of whom appear later in the film. Directed by Jessica Hausner, daughter of the Viennese painter Rudolf Hausner, sister of the costume designer Tanja Hausner and half-sister of the production designer and painter Xenia Hausner. The visual aesthetics of this film about the suicide pact between the German writer Heinrich von Kleist and Henriette Vogel in Berlin 1810/11 are decidedly yellow and red and inspired by Vermeer’s paintings. 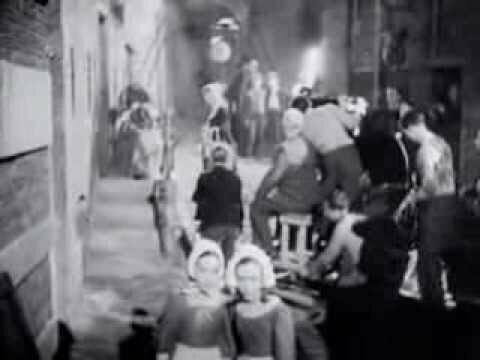 Ceux De chez nous—Auguste Renoir (France 1915): Directed by Sacha Guitry (1885-1957), French theatre and film actor, director, screenwriter and dramatist. French Cancan (France/Italy 1954 by John Renoir): An homage to Degas, the Impressionists, and his own father Pierre-Auguste. This is not only about the painter’s final years at Cagnes-sur-Mer during the First World War, but also Andrée Heuschling a.k.a. Catherine Hessling, the painter’s last model and the first actress to star in his son Jean’s films. Mike Leigh stated in an interview with the Tate Gallery that he wanted to make a film about William Turner’s personality, about who and how and where he was. Leigh used sketches and paintings of Turner to recreate the settings that were used in the movie (Leigh Tate). In another interview, he talked about the difficulty rendering Turner’s pictures and paintings (Leigh DP/30). In the same interview, Leigh talks about the accuracy of the film in the sense that however much and long you research “you were not there. So it is an imaginary world anyway” which “is always heightened and distilled, it is never naturalistic or documentary” (Leigh DP/30). Regarding the main story line of the movie, it adheres quite closely to William Turner’s life. The movie somehow relates to the director’s life as well since it shows an aging artist struggling with his project (Leigh DP/30). William Turner bequeathed the English Nation large parts of his artwork. For the National Gallery, Turner’s bequest was the largest donation of works every made. Most of Turner’s legacy, almost 300 oil paintings and 30,000 sketches and watercolours, is now stored in the Clore Gallery at Tate Britain. William Turner set up his first last will and testament after his father had died in 1829 and changed it in 1848 when his state of health had worsened. He then added the collection of all his finished pictures to the inheritance. Turner gave very specific instructions on how and where his paintings should be displayed. They should be held together in the Gallery and shown in their completeness to the public (Leigh Audio Commentary). It took almost a hundred years until all of Turner’s works of art were sorted out. The Tate Gallery generously allowed the director Mike Leigh to research in the archives for the production of the film (The Many Colours of Mr. Turner / Leigh). There is a sequence in the movie related to this (counter: 01:58:14 – 02:01:42). It is set in Turner’s gallery, which was located next to where he lived. The sequence starts with a full shot at a low angle, followed by a slight upwards tilt, of an elderly man looking closely at Turner’s paintings dressed in fancy period clothing wearing a top hat and a walking stick. The walls of the gallery are painted in red with framed pictures on the walls as well as on the floor. Two buckets are put on the floor to catch water drops falling from the ceiling. There is a small table on the left side of the frame where a cup of tea is standing on a pile of books. The only sourced sounds are the footsteps on the wooden floor. The quietness and length of evokes uneasiness with the viewers, who do not know what is going to happen and awaits some kind of action. They are released from this tension when the camera zooms out and both the housekeeper Hannah Danby and William Turner appear in the frame. Danby is dressed in shabby clothes serving the two men drinks. The source of the light appears in the frame, a roof-light covered by cloths, creating a medium key light. The movie continues with a couple of medium close shots of the three characters’ faces. During the sequence, the visitor to the gallery, the rich businessman Joseph Gillott, offers buy all Turner’s artwork for 100,000 pounds, an enormous sum at that time. But Turner has to decline the attractive offer since he has already bequeathed the British Nation his artwork. Gillott is astonished and cannot comprehend Turner’s answer, and on failing to persuade him eventually leaves the gallery slightly upset. The sequence shows perfectly how stubborn William Turner was in relation to his bequest. It is known that Gillott showed a special interest in Turner’s art, but there is no proof that a sequence like this really occurred. In the encyclopaedia Brockhaus, which came out in the late 1930s, William Turner is already mentioned as the forerunner of impressionism. It says there that he wanted to recreate the effect of atmosphere which changed the form of things. It started with him turning towards the dissolving of solid shapes and moving on to a colourful, burning composition of steam, light, mist, sun and fog (Brockhaus 496). With his forward-looking work, he influenced many well-known impressionist painters, like James Abbott Whistler or Claude Monet. Nevertheless, he was a representative of the Romantic style. Significant paradigmatic changes occurred when the era of the Enlightenment was replaced by the Romanticism in the late 18th century. The focus shifted from reason to emotion, from rules to imagination, from the society to the individual and from the city, as the place to be, to the nature. In his book A Philosophical Enquiry into the Origin of Our Ideas of the Sublime and Beautiful, Edmund Burke wrote about the aesthetics of nature, depicting three concepts: the sublime, the beautiful and the picturesque (Wu / Burke). William Turner was strongly affected by these new concepts. He lived a significant time of his life in the countryside, where he was able to experience the beauties of nature. His most frequent themes were seascape motives and landscapes, oftentimes the confrontation of humanity with the forces of nature. Even though most of his artwork can be described as “picturesque”, his “best” and most famous paintings deal with the idea of the sublime. The central aspects of the sublime are obscurity, terror and the supernatural. Turner applied these ideas by showing the vastness of nature by using great distances or heights, by extreme contrasts of light and shadow and by limiting the observer’s perception. Timothy Spall described the sublime in the Bonus Feature The Many Colours of Mr. Turner as the conflict between the beauty and the horror of the nature. One example of a sublime painting by William Turner is the oil painting “Snow Storm – Hannibal and his Army Crossing the Alps”. The romantic scheme does not only show in Turner’s motives or style, but in his way of painting as well. As can be seen in the movie, he travelled across countries, drawing sketches of landscapes and other motives in the open air and painting his pictures with oil paint or watercolour back at home in his studio. 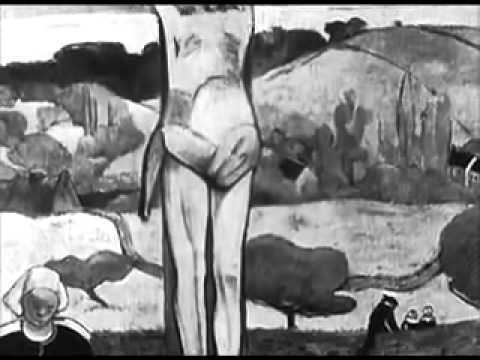 This way of living and painting is shown right at the beginning of the movie (counter: 0:00:34 – 0:02:14). An establishing shot of a picturesque landscape somewhere in the Netherlands immediately follows the opening credits. Taken as a film still, the motive looks much like a painting of Turner himself. The extreme long shot shows the sunrise above a plain field parted by a little stream next to a windmill. The rosy sky takes up a little more than the upper half of the frame while the fields lie in the dark on the lower half. The river, which reflects the morning sunlight, draws a bright line through the dim grassland. The sounds are those of an early morning in the open countryside, twittering birds and the sound of the ripple. Two women dressed in folklore clothing walk into the frame, chatting all along. The camera starts to track the two women carrying pails while moving closer to the water. The closer they come, the louder their voices get. As they reach the height of the camera, it follows them walking by with a panning shot to the left. All the while, a dark little figure appears on the other side of the stream standing in the distance facing the sun. 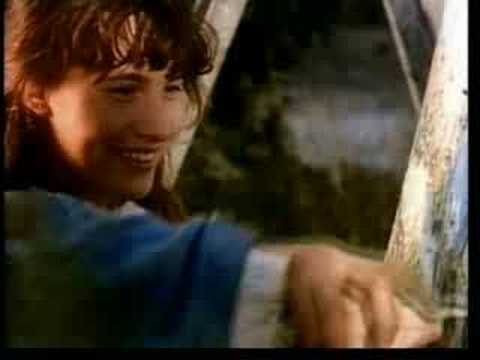 The two women disappear and while their voices are fading off unsourced music starts to play. The following long shot shows the lone figure in the field. After a cut, a medium shot from a low angle shows the figure, who turns out to be William Turner, at close range. The middle-aged man is shown from the side standing in waist-high grass, wearing a top hat and a dark coat and drawing in a sketchbook. He stops for a moment, looks up at the sun and the sky, and continues drawing. After another cut the man’s face is shown from the front in a close up from a slightly lower than eve-level angle, looking very focused stern while trying to capture everything he sees. The sequence depicts Turner’s passion for nature. He spared no efforts to get the perfect motive even if it meant travelling in harsh conditions across countries, exposing himself to the forces of nature or simply getting up early before sunrise to catch the first sunbeams. Thanks to the early acknowledgment of his talent and work, William Turner got to know people of various social backgrounds throughout his life (The Many Colours of Mr. Turner / Bailey) be it his quite simple and down-to-earth upbringing, his diverse clientele or the members of the Royal Academy. Despite his difficult character he seemed to have got along with most of them pretty well. Leading actor Timothy Spall called him the “daddy of the royal academy” in an interview featured on the DVD. Turner adored the Academy, and they adored him. Even though most of the members were a bit weary of him, they all knew he was brilliant and listened to him attentively (The Many Colours of Mr. Turner / Spall). In a way, he felt committed to the Academy, because he owed them everything. Nevertheless, the competition between the members was fierce, peaking just before the vernissage on the Varnishing Days. During those days just before the exhibition opened, all the painters would finish their paintings at the Royal Academy, touching up their works and making the very final changes (Costello 123f). It intensified the rivalry between the artists, and Turner was said to have reacted viciously to that (The Many Colours of Mr. Turner / Francis). An infamous incident occurred in 1832 at Somerset House in London, the former location of the Royal Academy, where John Constable, Turner’s greatest competitor, exhibited one of his most promising paintings next to Turner’s picture. Fearing a defeat, Turner added a big red provocative dot to his fairly unspectacular seascape painting, turning it into a buoy and by doing so making his picture much more exciting and leaving Constable furious. “He has been here and fired a gun”, said Constable afterwards (Jones). This cinematic but real occurrence has found its way into Mr. Turner (counter: 1:11:00). William Turner lived with his father for over 30 years. 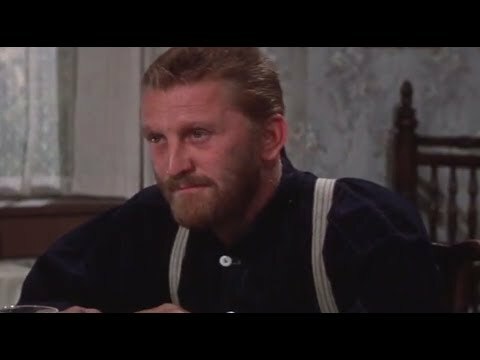 Due to Turner’s mentally ill mother, a strong bond between father and son evolved quite early (Leigh Audio Commentary). After the demand for wigs decreased with the changing fashion in the late 18th century, William Turner, the father, was more than happy to find new work in helping his son in the production process of his paintings. He used to prepare the paints and the canvases by stretching them. He also varnished the completed oil paintings. The father’s death notably affected Turner’s life and health (Shanes 36). Turner set up his first last will and testament only ten days after his father had died in 1829. The following sequence illustrates the close relationship between the two of them (counter: 00:09:00 – 00:12:37). A low medium to full shot shows the housekeeper following Turner’s father walking down the hall of the second floor of William Turner’s house and disappearing into another room on the left side. Hannah Danby, who is dressed in her usual shabby clothes, stops at the end of the hall and peeks into the room where the father had vanished. His voice can be heard from the other room greeting his son cordially, who has just returned from one of his journeys. After a cut the second room, which turns out to be Turner’s workstation, is shown in a full shot. An antique desk crammed with books and other objects is standing against a wall on the left side next to a closed door. A second table is standing on the right in front of a cupboard next to the door through which Turner’s father just walked in. The colours of the room are quite dark and dull, the natural daylight creates a medium key lighting. The camera tracks the father hobbling towards his son, who is standing near the window, preparing his work. The two men are shown hugging each other in a medium shot. The painter calls his father “daddy” and the father his son “Billy boy”, which seems astonishing, if not a little inappropriate, given the fact that they are about 50 and 70 years old! Brushes, paints and easels are standing all around the room, indicating that this is a place of creative work. After talking about Turner’s journey, they kiss and hug each other again, which shows the affection and familiarity between the two of them. The camera tracks them moving towards a desk in front of a window where Turner starts to paint while telling his father about his trip. The light is now much brighter as they are standing right in front of the window and the light source is not at the back, but to the side of the camera. They start talking about Turner’s work and how he needs special canvases, which his father usually prepares. His father tells him that the price for ultramarine has increased again. While Turner leaves the scene to go and take a nap, his father is shown in a full shot pan carrying a canvas from one room to another. The next scene shows the father shaving a pig’s head with the help of the housekeeper, a reference to his former profession as a barber. After a cut the old man is shown from a high angle medium shot and the camera tracks him walking up the staircase. The next scene is set in Turner’s bedroom where a full shot shows him lying on his bed while his father comes in to wake him up. A mirror, standing behind the bed, reflects Turner’s folded hands, drawing attention to his work tools. The next cut refers again to the father’s former profession as he shaves his son, shown in a medium close shot. It is also a funny parallel to the prior scene where he shaved the pig’s head. Father and son seem to be getting along very well, chatting and laughing all the while. The sequence reflects the close relationship between William Turner and his father. Not only was his father a great help and influence in Turner’s private life, but also of great importance in the production process of his paintings. William Turner led a very reclusive lifestyle. However, some assumptions about his private life can be made on account of the portrayal of his character. Trusting the widely held belief that Turner had a romantic relationship with Sarah Danby, it is assumed that he was the father of her two daughters Evelina and Georgiana (Shanes 23). Another assumption, indicated by Turner’s testament, is that Sarah Danby’s niece Hannah Danby was the mother of these two girls. She had been serving Turner as a housekeeper from the 1820s until his death. After he died, Turner left her a significant amount of money and the right to stay in his house until her death, which could be an indicator for the previous speculation (Shanes 23). It is also possible that William Turner was not the father of the two girls but instead their brother since his father bore the same name. Hannah Danby, Turner’s long-time housekeeper, has been described in various reports as a pitiful woman people felt sorry for. They were even alarmed and scared at the sight of her because she was disfigured (The Many Colours of Mr. Turner / Atkinson). According to the director Mike Leigh, the sexual relationship between the painter and his housekeeper was not based on historical evidence, but seemed instead quite natural and very probably (The Many Colours of Mr. Turner / Leigh). After 1933 a new companion entered Turner’s life. For years, the painter had been visiting the small town of Margate where he used to stay with Sophia Caroline Booth and her husband, who died in 1933. The relationship between Turner and Booth started only shortly afterwards. Booth took care of her own sustenance during their relationship, which lasted for 18 years, buying a house in Chelsea from the money that she had saved (Shanes 43). They even moved together into that house where they lived until Turner died in 1851 (Shanes 40). The movie Mr. Turner is an artwork itself shot in a “turneresque” manner, focusing especially on light and colour just like Turner did in his paintings. 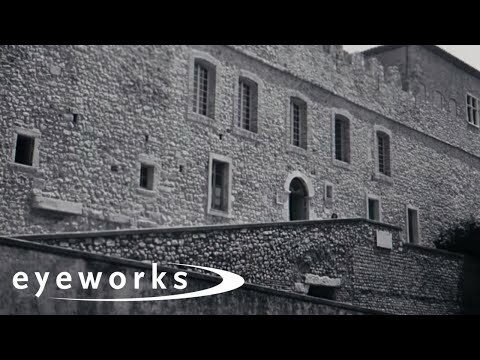 The movie is a milestone in the history of British period dramas, a genre which includes other biopics like A Bright Star, about the English Romantic poet John Keats, or Young Victoria, about Queen Victoria. Turner’s oeuvre played a significant role in the cinematic depiction of his life, just like Keats’ poetry did in A Bright Star. The use of the main characters’ work as a stylistic device is a crucial element in these two biopics. Keats’ poetry is often used as a voiceover while Turner’s paintings can be seen in the majority of the movie’s settings. There is yet another characteristic that these two biopics have in common, which is that they both show the end of their “hero’s” lives. 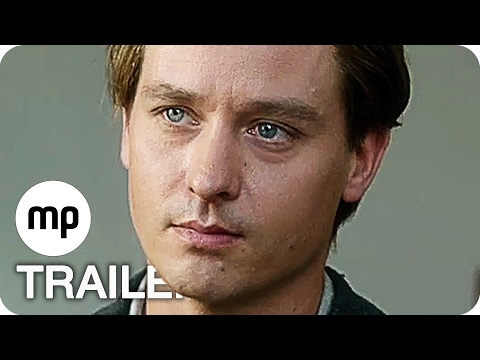 Both Keats and Turner die before the film ends, and the spectator gets to see what happens to the people that are left behind, especially to their “girlfriends”, since neither Turner nor Keats was married but in a relationship. By showing the mortality of the hero’s body, the immortality of his genius comes to the fore. Nevertheless, both Mr. Turner and A Bright Star focus on the private lives, especially the relationships, of these two representatives of the Romantic period. Their weaknesses are contrasted with their strengths, their oftentimes ugly personality traits come face to face with the timeless beauty of their work. And that is what leaves the spectator in awe, seeing a “normal” human being creating immortal works of art. Costello, Leo. J.W.M. Turner and the Subject of History. London&New York: Routledge, 2012. 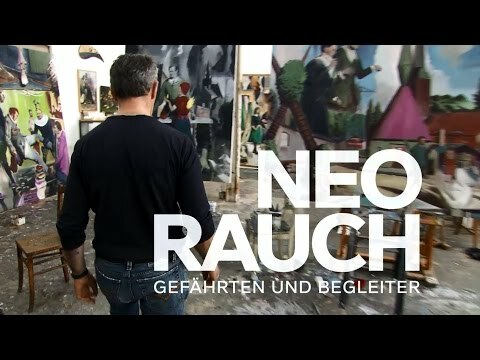 Der Neue Brockhaus: Allbuch in vier Bänden und einem Atlas. Leipzig: F.A. Brockhaus, 1938. Shanes, Eric. J.M.W. Turner. London: Studio Editions, 1990. Wu, Duncan. Romanticism: An Anthology. West Sussex: Wiley-Blackwell, 2012. Leigh, Mike. Interview with The Guardian. National Gallery. The Turner Bequest. Leigh, Mike. Audio Commentary DVD. Special Treats Productions, 2014. The Many Colours of Mr. Turner. DVD Bonus Feature. Special Treats Productions, 2014. Featuring Mike Leigh, Timothy Spall, Dorothy Atkinson, Marion Bailey and Clive Francis. The author Stella Aurelia Berg is a BA student of International, Business and Cultural Studies at the University of Passau, Germany. A companion piece to au Louvre (2004 Jean-Marie Straub and Danièle Huillet, a companion piece to their earlier Cézanne from 1989. Both films are based on the chapter “Le Louvre” from the Provencal writer and art critic Joachim Gasquet’s book Cézanne: A Memoir with Conversations (1897-1906) which recounts the painter’s visit to the Louvre accompanied by the young Gasquet. In the 2004 film we see Cézanne in the Louvre strolling past painters by his artist colleagues. Julie Kotai speaks the comments Gasquet attributed to Cézanne about the paintings. 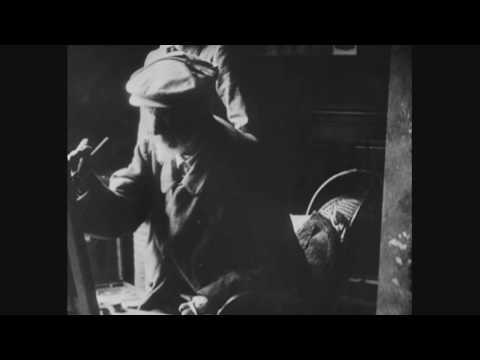 There have been at least five documentaries about Cézanne. With Birgitte Hjort Sorensen and Soren Saetter-Lassen as Marie and Peder Severin Kroyer respectively (1867-1940 and 1851-1909), two of the Danish Skagen Painters, a community of Danish and Nordic artists from the place of the same name. Note that Lech Majewski helped develop as a project and write the screenplay for Basquiat (1996), eventually gaining a credit as co-writer and co-producer (see section on Queer Biopics). Veronica Tennant as the French painter Suzanne Valadon 1865-1938 who had an affair with the French composer Erik Satie. Featuring the Circle de Soleil. Tom Sturridge plays the English painter, illustrator and co-founder of the Pre-Raphaelite Brotherhood John Everett Millais—the film revolves around his triangular involvement with the Victorian art critic John Ruskin and his wife Euphemia “Effie” Gray. 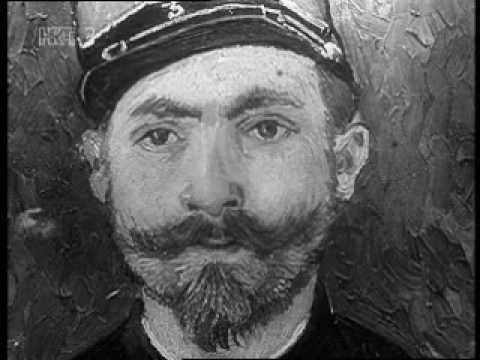 The “moi” of the original French title is the 19th century realist novelist Émile Zola, and the film depicts the relationship between the writer and the painter until it ended in an irreconcilable quarrel. Cézanne did a Portrait of Émile Zola in 1864 followed five years later by la Pendule noire / The Black Marble Clock, a clock without hands as a sign of time standing still which could also be regarded as a comment on their hoped-for eternal friendship. 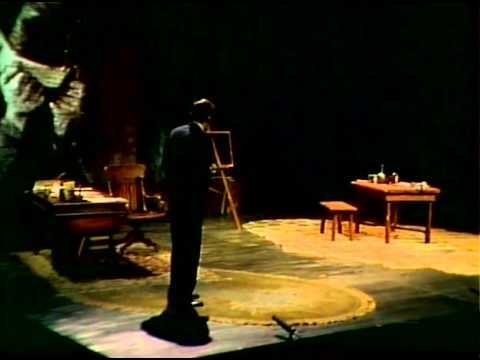 Yet when Zola portrayed the life of the failed painter Claude Lantier in his 1886 novel L’œuvre / The Masterpiece as part of a fictional account of their friendship, Cézanne considered this a betrayal and they parted company for good. 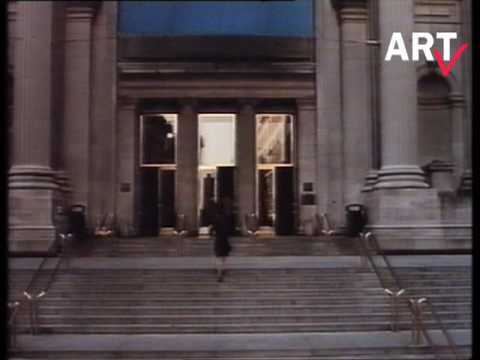 The film “features the artist flicking paint at a glass screen in a frenzy of apparent creativity accompanied by a Dizzy Gillespie soundtrack” (Jacobs 19). The director accompanied the painter at work, a member of the New Leipzig School, from 2013—2016 and also observed the critical exchanges with his wife, the painter Rosa Loy. The German title means ‘companions’ and ‘those who accompany someone.’ See the official website then a trailer.